Question: Why would anyone want to attend Goshen Community Schools? Better question: Why wouldn’t they? Goshen Community School District serves more than 6,500 students, and does so exceptionally well – with a diverse learning community, dedicated educators, top-notch academic programs, and a wealth of extracurricular opportunities in both athletics and the arts. So if you’re looking for a school district (or maybe you’d like to explain to others why you’re more than proud to call GCS your educational home), we’ve come up with a short list of reasons why Goshen Schools is the best district around. The quality education provided at GCS is known far outside Goshen. This year, for example, U.S. News and World Report named Goshen High School a silver medalist school for the fourth year in a row. U.S. News and World Report ranks schools based on which are best at preparing students for college and careers. 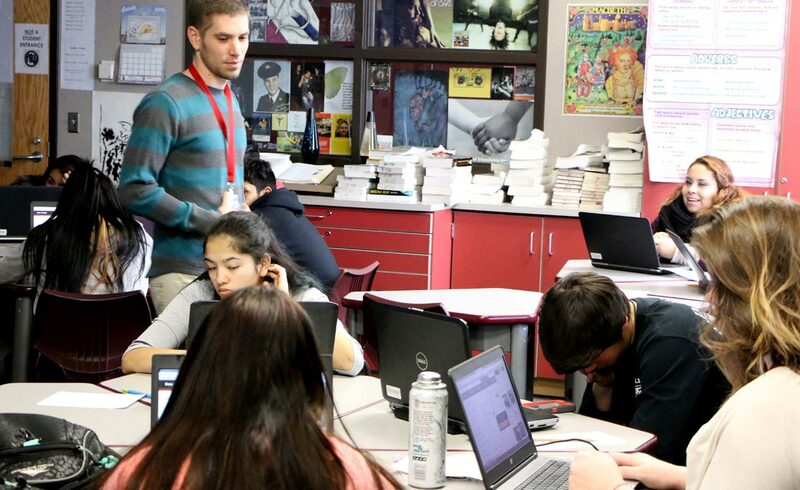 According to GHS Principal Barry Younghans, the current numbers put Goshen High School in the top 11 percent of high schools nationally, and top 7 percent of high schools in Indiana. Goshen High School was also one of only seven schools in Indiana to make The College Board’s Gaston Caperton 2015 Honor Roll. 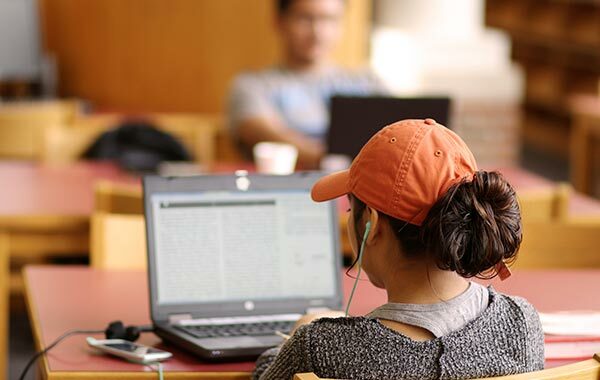 According to The College Board, the honor roll is a list of 130 school districts across the country recognized for creating opportunities for traditionally underrepresented students. GCS was honored for expanding access to higher education via rigorous classes and innovative college-preparation programs. Attend a GCS athletic event and you may hear fans cheering for their team in multiple languages. That’s because Goshen Community Schools has a rich student diversity that’s representative of our city, and also our global society. In addition to English, languages spoken by GCS students include Spanish, Japanese, Khmer, Marshallese, Portuguese, Arabic, Russian, French, German, and Cantonese, among others. For students wanting to enter the job market right after graduation, Goshen High School is the place to prepare. GHS is home to a Computer Peer Repair Program, a student-run project that maintains 2,500 laptop computers. According to an article in the spring 2016 issue of Certification Magazine, the program has reached the stage of being self-funded and is readying students to earn IT certifications. 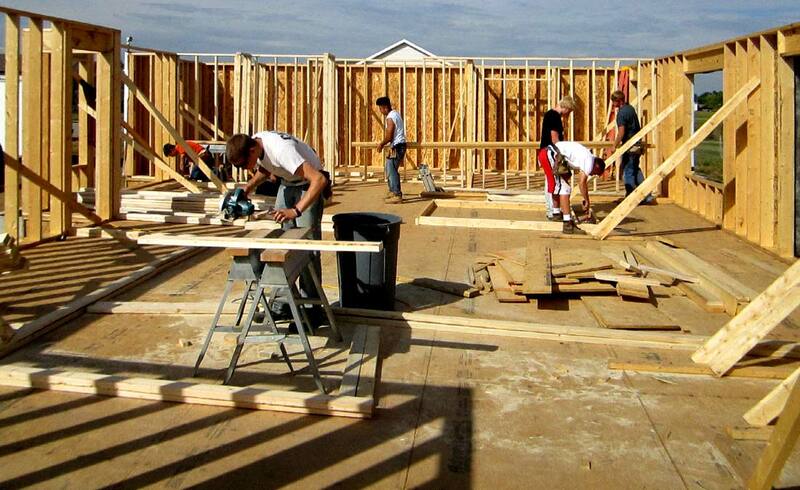 Students can learn construction skills in the GHS Building Trades Program. 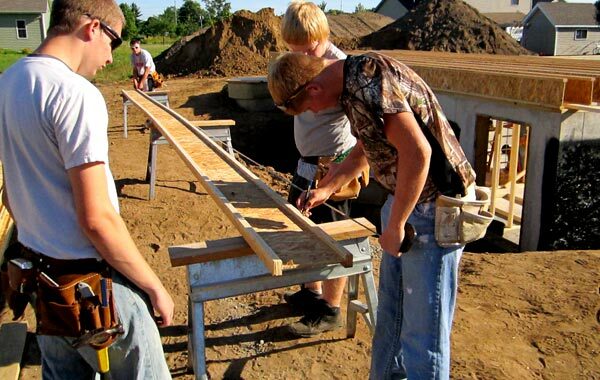 GHS student handiwork can be found throughout the Goshen area – young people in the Building Trades program built their first home in 1976, making this the program’s 40th anniversary. Students gaining technology skills is one of the primary goals in Goshen Community Schools. For example, every high school student is provided with a laptop computer as part of the “one-to-one” technology program. Teachers integrate laptops into classroom work, and students transport their laptops to and from school for work in both locations. School officials implemented an International Baccalaureate (IB) program at Goshen High School in 2008. Open to juniors and seniors in Goshen, IB is a worldwide program aimed at developing knowledgeable, enquiring, and caring young people. 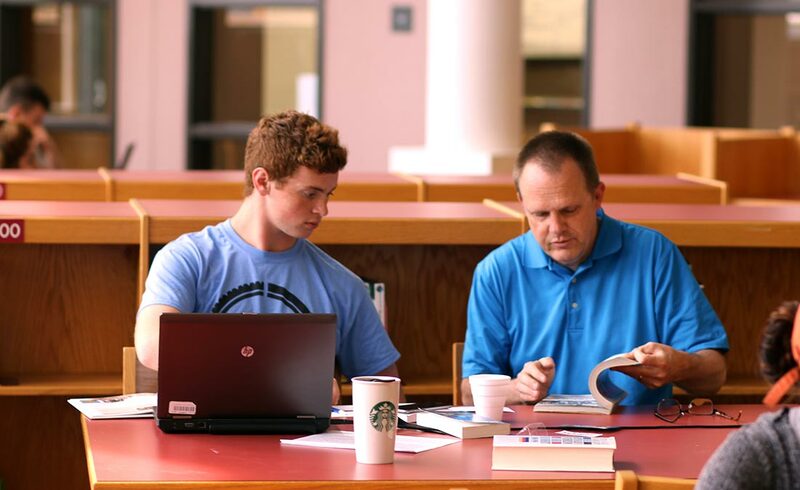 Many colleges offer college credit for IB courses taken in high school. To find out more, read our story about the program. At Goshen schools, kids aren’t afraid to get a little bit dirty while they learn. Proof? 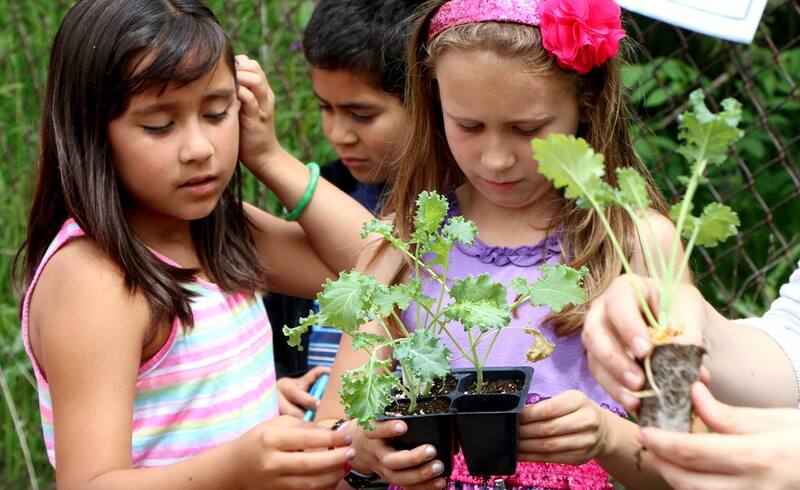 The gardening education program offered at Chandler Elementary School. 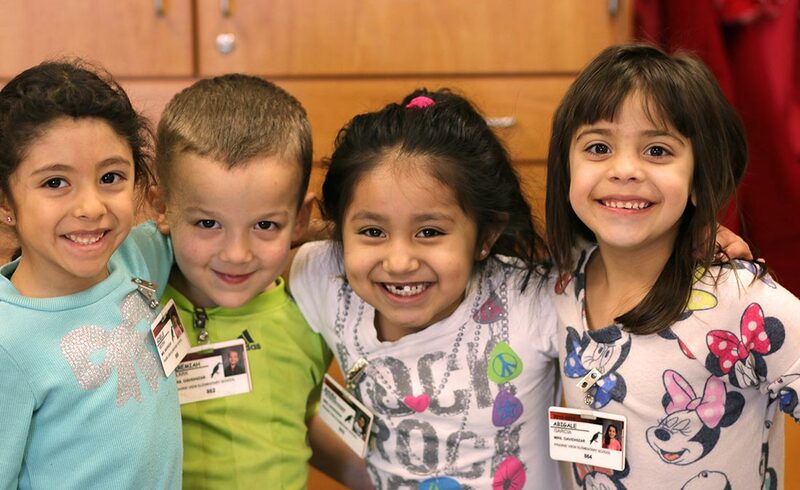 Goshen elementary schools are home to innovative learning programs – and a lot of fun. Chamberlain Elementary, for example, is an Expeditionary Learning (EL) school. The EL approached is focused on project-based learning, student engagement, character development, and top-quality student work. 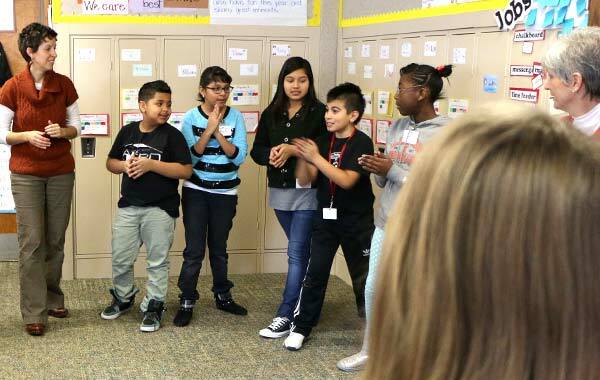 Active learning is one facet of EL – students take on the roles of scientists, urban planners, historians, and activists, identifying problems in their community and working with other students to find solutions. 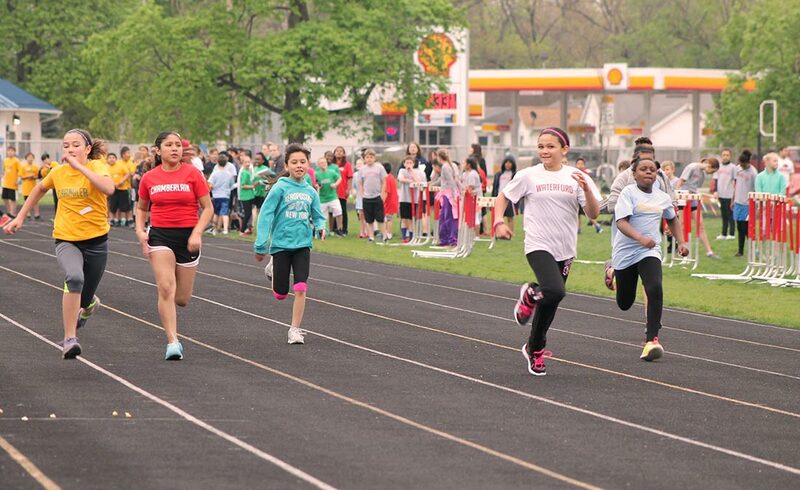 At Prairie View Elementary, second- through fifth-graders enjoy 20 minutes of aerobic activity every day. Through TEAM20 – Together Everyone is Active and Moving for 20 Minutes – students have boosted their physical activity, reduced conflict, and made new friends. Goshen Community Schools students learn both in and out of the classroom – sometimes, way out of the classroom. 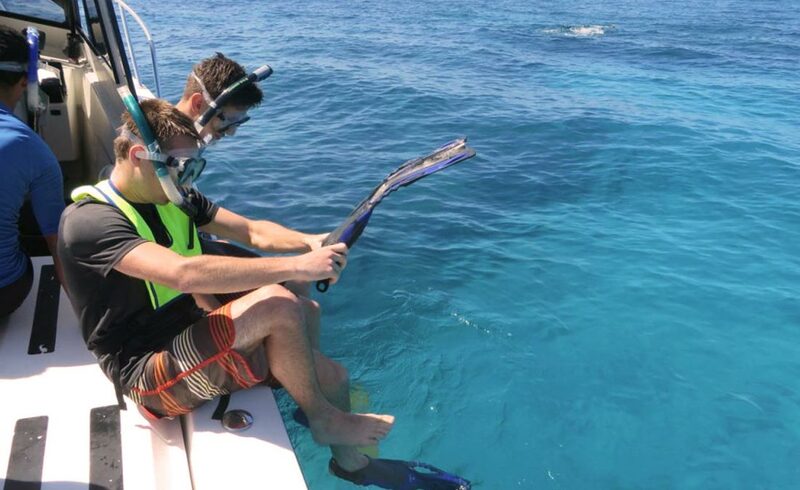 For more than 40 years, Goshen High School teacher Carl Weaver has led a marine biology trip to the Florida Keys, roughly 1,500 miles from the Maple City. 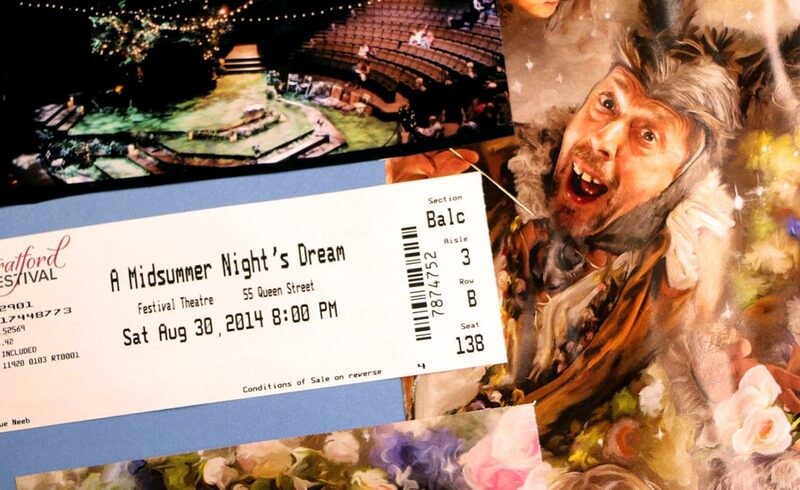 Also, GHS English Department co-chairperson Sue Neeb organizes The Stratford Experience, in which students travel to Ontario, Canada, to listen, watch and learn at the Stratford Festival, one of the top repertory theater festivals in North America. At Goshen Middle School, students and staff have taken educational trips to the Colorado Rockies (physical education), and Washington D.C. (social studies), and in 2017, they will add a trip to South America (language and culture). 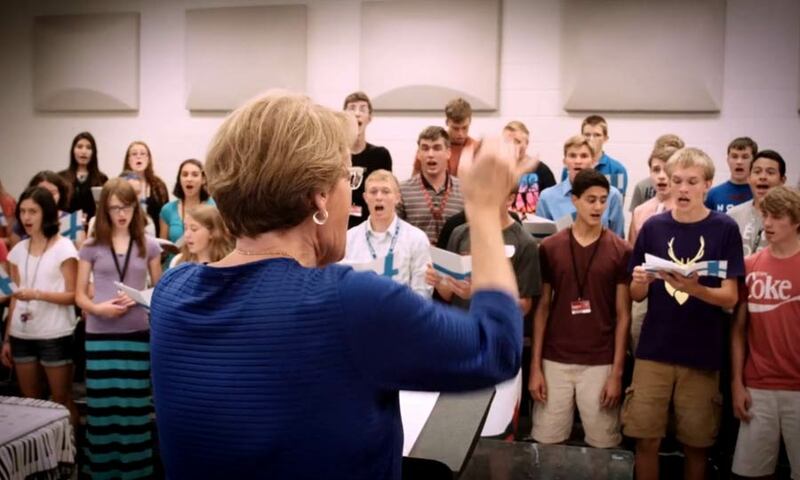 Goshen educators strive to instill a lifelong love of learning in their students, and that includes the joy of music. Band, choir, and orchestra programs are available at the elementary school, middle school, and high school levels. Our student musicians have earned awards at both the state and national level. This spring, for example, Goshen High School’s Concert Percussion Ensemble won a state championship and the silver medal at the WGI (Winter Guard International) Percussion World Championships, and the Marching Percussion Ensemble placed eighth in the country. 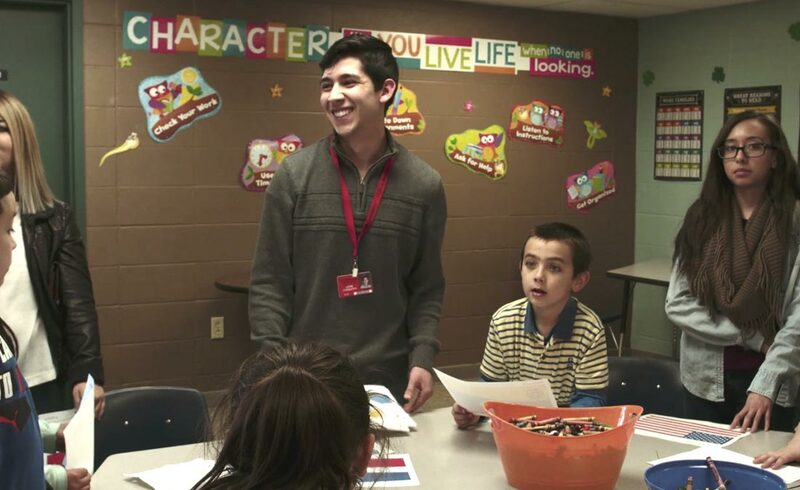 Students wanting to make the most of their educational experience both inside and outside of class have come to the right place: Goshen Community Schools. In addition to GCS music opportunities, students have a range of middle school and high school athletic programs from which to choose (there are even elementary sports programs for younger competitors!). Aspiring thespians also find that GCS has much to offer. Students are given the opportunity to participate in plays and musicals at the middle school level. At the high school, more than 100 students are involved in theater. The GHS theatrical productions – which have included “Peter Pan” and “Les Miserables” – surprise and delight audiences with their level of professionalism. 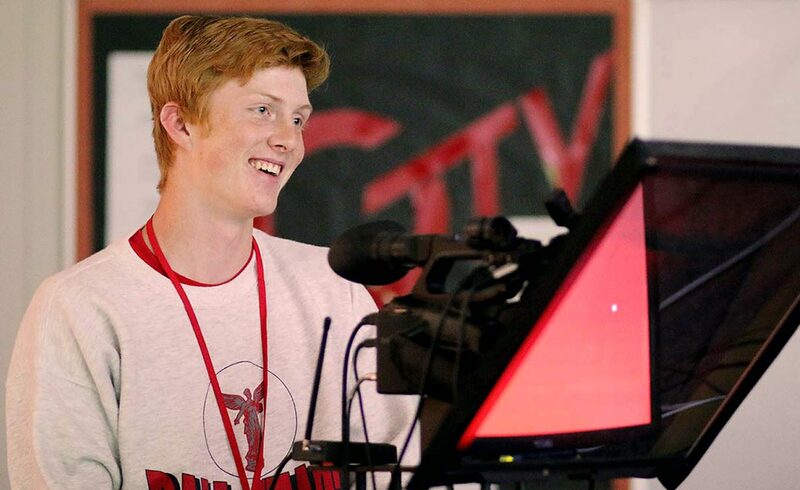 In addition, GHS extracurriculars include The Talon newspaper and GTV broadcasting for future media professionals, Student Council, National Honor Society, and many other student organizations. 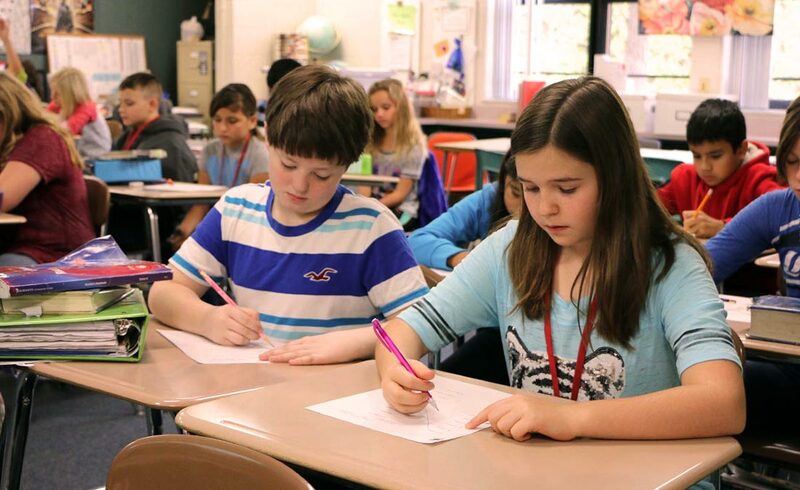 Goshen Community Schools offers large-school opportunities but with a small-school feel. 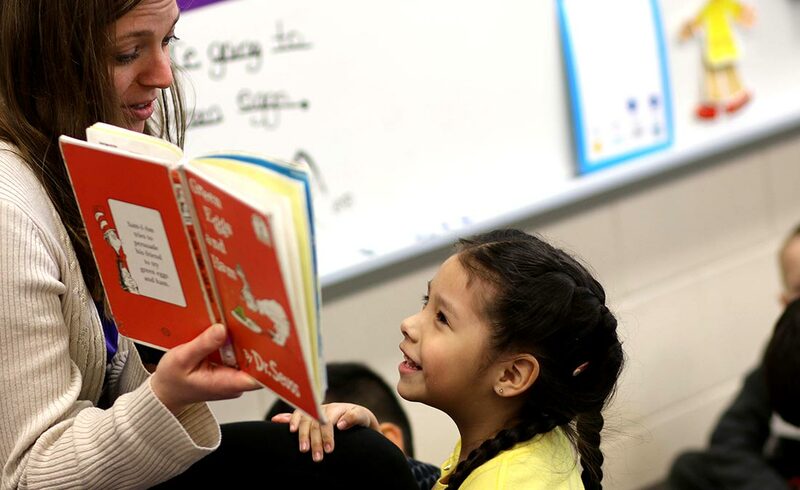 GCS is a place where administrators know their students and care about their families, in addition to being home to highly effective and highly regarded teachers and staff. 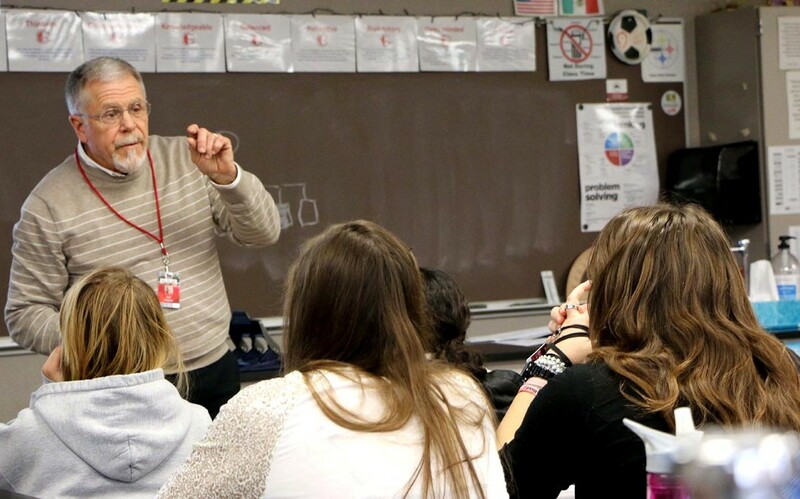 Goshen Community Schools is a place where people care – and they would love to see you there. This list is only the beginning. Learn more about the school system’s innovative extracurricular programs and empowering educational methods by clicking the stories and videos below. Interested in moving to Goshen?